Stackable for efficient storage. Made of high-density virgin polyethylene for longer life (except SKID-17). 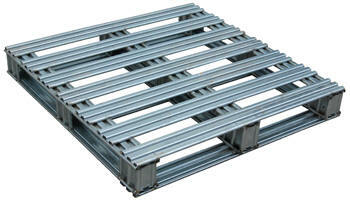 Pallets are maintenance free and safer to handle than wooden pallets. Feature (4) four-way entry. Serrated deck with holes for drainage. 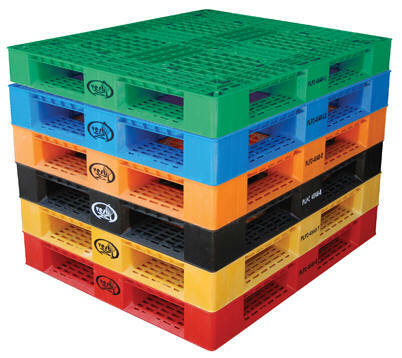 Plastic pallets are ideal for export, pharmaceutical, medical, and food applications. Model PLPS-4840-9L is a hygienic easy to clean solid deck skid. PLPR-4840-ST (Rackable) 39-1/4"x47-1/8"x6½" 13,200 3,300 2,200 9¾"x4½"
PLPS-4840-9L (Hygienic) 46-7/8"x 39"x5½" 8,800 2,200 1,700 13"x3½"
This is the pallet the food and chemical industries have always wanted. Easy to clean with a power washer. Stands up to high-power steam, brushes or pads. 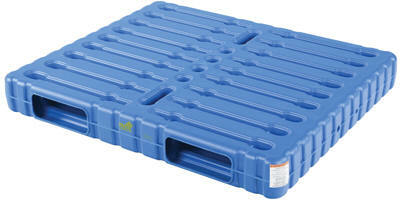 Features a non-skid surface for easy transportation of all products. Top boards are 4" wide. Available in two-way and four way entry for pallet and fork truck use. Durable and re-usable. Heavy-duty welded aluminum construction. (W x D x H) Uniform Supported Weight Capacity Wt. 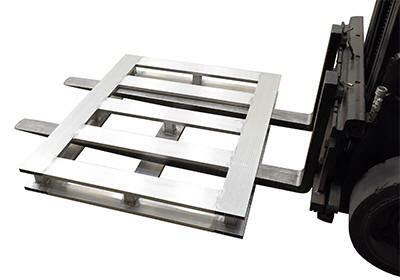 Heavy-duty non-reversible welded steel pallets. Usable fork openings are 3-7/8" high. Model SPL-3636 has 4-way entry allowing for access for both fork and pallet trucks. Models SPL-4048, SPL-4248 and SPL-4848 have 2-way entry and allow access for fork trucks only. Hot-dipped galvanized finish offers rust resistance. 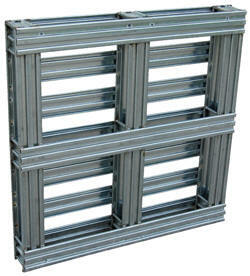 Galvanized Welded Wire Pallets will stand up to heavy-duty use. Design allows for stacking. Four-way access with pallet truck and fork trucks. Open decking features 2" x 4" grid pattern. Usable height on open end is 3". Usable eight on stringer end is 2¾". Understructure supports are made from 12 gauge steel. Decking is made from welded steel wire. Welded steel construction with galvanized finish. (WxDxH) Uniform Supported Weight Capacity Wt. Nestable presswood pallets are great for hundreds for applications. 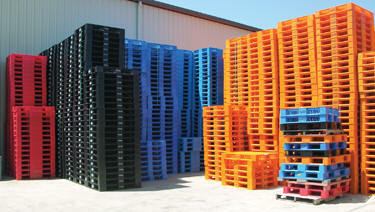 Special nestable design allows for stacking - 50 pallets only 86" high. Meets ISPM 15 export specifications. Rounded corners increase life expectancy. 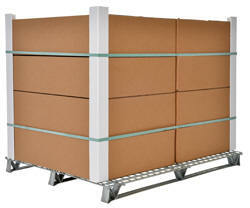 Lightweight design weighs 60% less than conventional wood pallets. Does not contain any nails or staples. Manufactured from recycled wood materials. Environmentally responsible.